How do you get a non-crafty 5 year old boy to start creating? 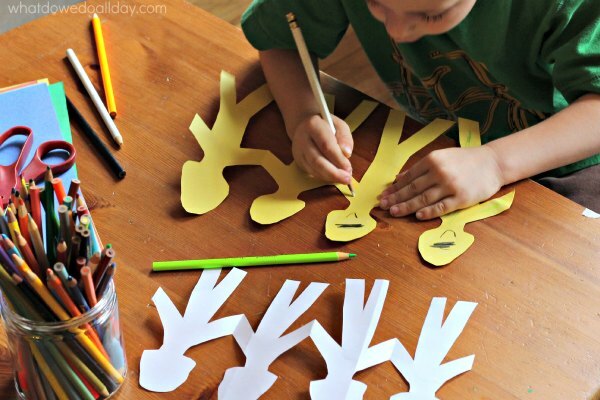 In case the answer isn’t totally obvious, you make a Star Wars craft, of course! 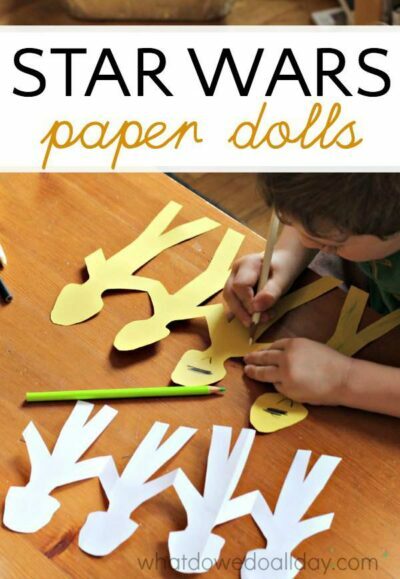 In this case, we made Star Wars paper dolls. Or, to be more specific: an army of Clone Trooper paper dolls. 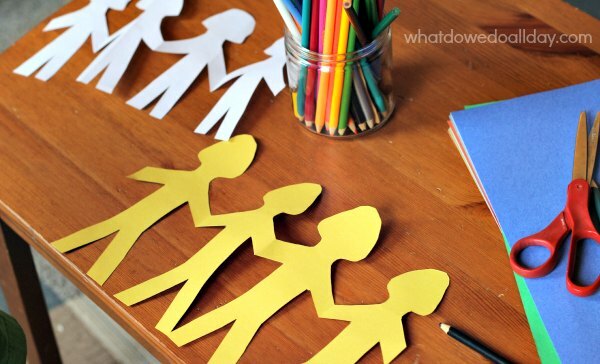 This is an easy craft and simple ideas for non-crafty parents and their non-crafty kids. If you’ve been following our writing activities lately (bless you!) you know Star Wars has been the inspiration for making pop-up books and writing Star Wars stories. It’s only natural that a Star Wars craft would be next! While I would like to be able to say that my sons enjoy pursuits that are stereotypically associated with girls, I can’t. As a feminist, it is extremely important to me that my children do not view activities along gender divisions. That said, it’s also perfectly okay with me that they prefer cars and trucks to dolls. What I don’t want them to think is that dolls are only for girls. First, I said, “Let’s watch a video to see how to do it!” (A peppy attitude always helps.) He considers all video-watching a big treat so he readily agreed. Also, how pathetic is it that I wasn’t quite sure myself how to make paper doll chains. The video below will give you the full instructions, in case you find yourself in the same boat. We made 6 sets in total. I did the cutting, since his fine motor skills are not quite up to the task. When he resists working with scissors, I weigh my options. In this case, I thought that drawing was a good alternative to a thwarted attempt to get him to use scissors (which he hates). He used colored pencils to draw in the features, mostly he used the white pencil to color them in. You may be thinking, “Those don’t exactly look like Clone Troopers.” To that I say, “Pshaw!” We ended up taping all 6 paper doll chains into one big chain. There you have it. Our first super simple, classic craft for the summer. As you can see paper dolls are not just for girls. They are also for Star Wars nuts. 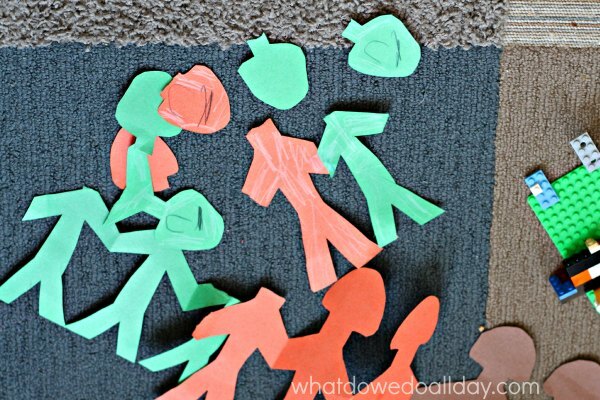 Have you ever made paper dolls with your kids? Star Wars gift guide – toys that are also educational! love it. my kids here in daycare are all into Star Wars. Creative idea for simple projects. Thank you! I hope it is a big hit with your daycare children!